Sergio Ramos disciplinary records will come to hurt him. Real Madrid are having a torid season so far and many of the senior members of the squad have already given up on their hopes of retaining their La Liga title. This is after they had the opportunity of closing the gap on Barcelona when they travelled to San Mames to face Athletic Bilbao but failed to get on the score sheet as they drew goalless. 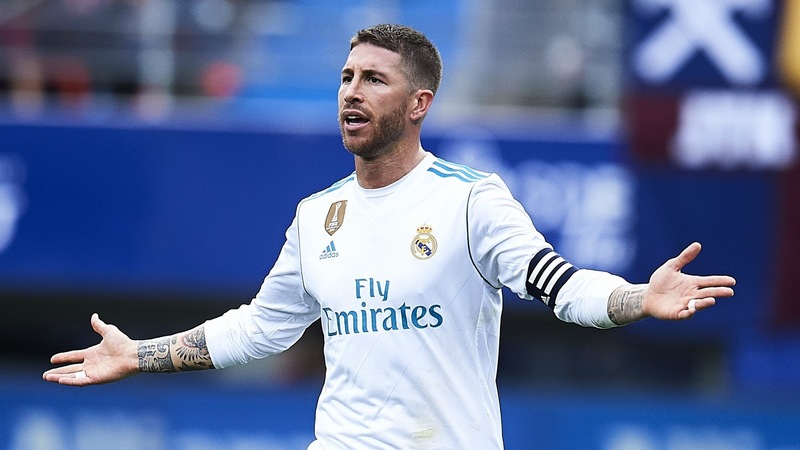 In the encounter, Real showed little reasons why they deserve to retain the league title as their performance was not the vintage Real of last season. Another defining moment in the game was when Sergio Ramos was sent off in the late part of the game. The Spanish captain continue his cynical act of getting sent off in games whereby his name is now synonymous to cards. The defender have continuously been getting booked all his career that despite being one of the best defenders of this generation, that part of his game still leaves many in awe. Sergio Ramos disciplinary records have been a big issue for him that many have called him out for severally. His despicable act has just shown another part of his game that many will call him out for many years to come. His ability as a defender has not been questioned because it’s obvious for everyone to see. How do you question a defender that has scored in two champions league finals and has won crucial points for his club in the last decade? Not too many defenders has over 60 goals in their career as Ramos has right now. So, Ramos career as a top rated defender will always not be in doubt. However, whatever decision he decides to take after the end of hi career as a footballer, if still in the game as a coach or administrator, and his players are having the kind of disciplinary record like his, many will refer him back to his playing days. Players like Ramos will look back and will say he could have still been a disciplined player and maintain his top quality as a defender.